Here at the Buddha Bistro, our menus change with the seasons to offer you the freshest, local ingredients that we have available. 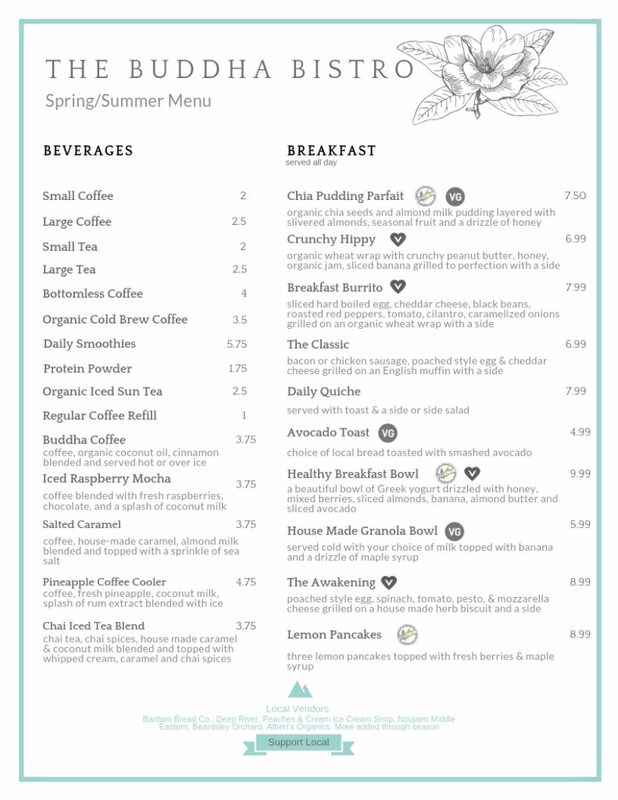 Our Spring Summer Menu was put together thoughtfully with your favorite seasonal flavors and some new additions for you to try! Sad that one of your favorite items didn’t make it onto the menu? Just ask, you never know what we have in stock that day. Be sure to check out our catering menu and think of us for your next private party or function. 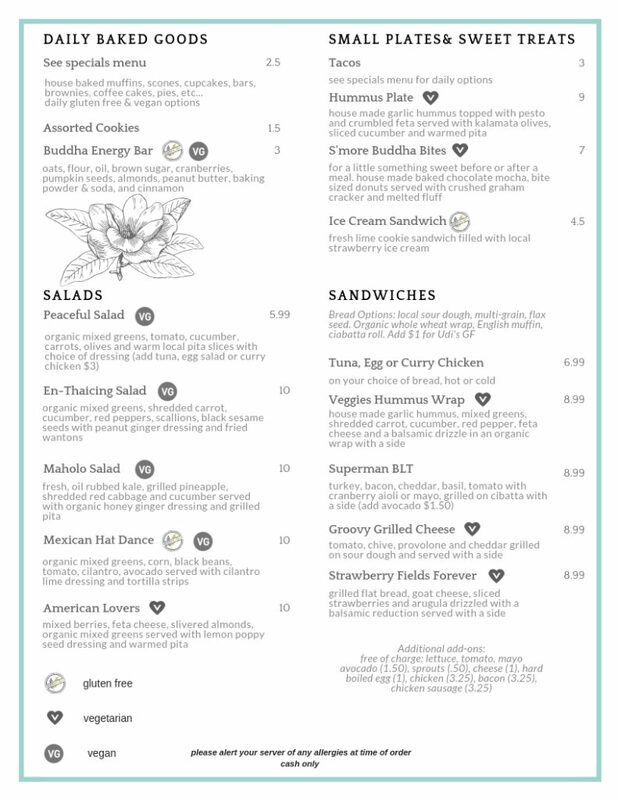 At the Buddha Bistro we offer a variety of baked goods, breakfast, sandwich and salad specials daily. On Sundays we offer a special brunch menu from 7am-Noon. Our daily specials, smoothies and sides are posted each morning on our Facebook Page.